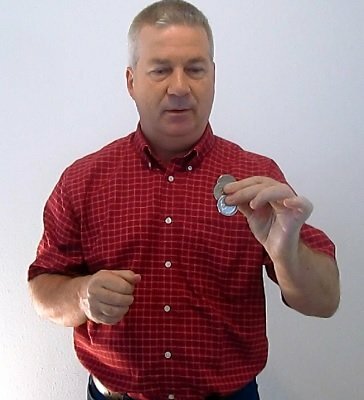 In the coin routine Fred Miser , three silver coins change to copper one at a time, and then back to silver. Although you will need gaffed coins (a sun and moon coin and a half dollar from an unexpanded shell set), the gaffs allow for very clean displays and make the routine relatively easy to perform. This is a coin routine performed in the hands, which automatically resets. As an added bonus we have included Raymonde's handling for Royal Magic's "Coin Funnel," which is like a chop cop routine using ungaffed or even borrowed quarters, and ends with a surprise production. The routine is performed in the hands and resets automatically. 1st edition 2015, length 9 min 30 s.